Chandra and XMM-Newton observations of the red dwarf star Proxima Centauri have shown that its surface is in a state of turmoil. Flares, or explosive outbursts, occur almost continually. This behavior can be traced to Proxima Centauri's low mass, about a tenth that of the Sun. In the cores of low mass stars, nuclear fusion reactions that convert hydrogen to helium proceed very slowly, and create a turbulent, convective motion throughout their interiors. This motion stores up magnetic energy which is often released explosively in the star's upper atmosphere where it produces flares in X-rays and other forms of light. The same process produces X-rays on the Sun, but the magnetic energy is released in a less explosive manner through heating loops of gas, with occasional flares. The difference is due to the size of the convection zone, which in a more massive star such as the Sun, is smaller and closer to its surface. 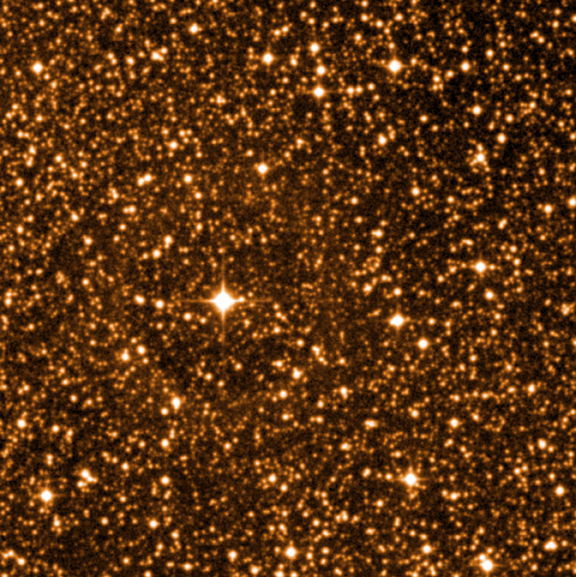 Red dwarfs are the most common type of star. They have masses between about 8% and 50% of the mass of the Sun. Though they are much dimmer than the Sun, they will shine for much longer - trillions of years in the case of Proxima Centauri, compared to the estimated 10 billion-year lifetime of the Sun. X-rays from Proxima Centauri are consistent with a point-like source. The extended X-ray glow is an instrumental effect. The nature of the two dots above the image is unknown - they could be background sources. 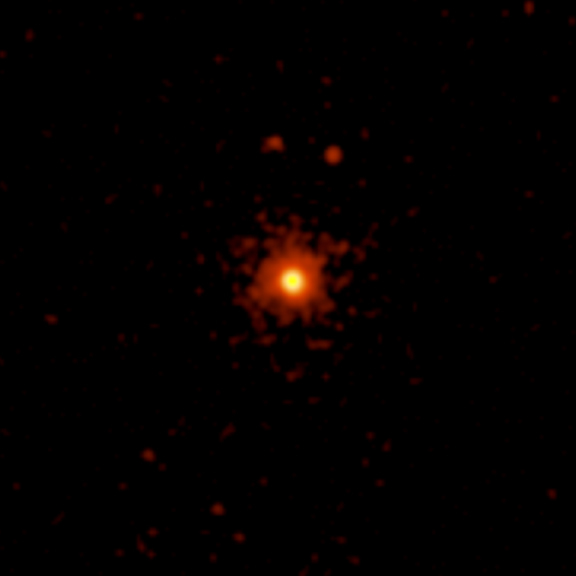 Scale Image is 1.5 arcmin across. Coordinates (J2000) RA 14h 29m 42.90s | Dec -62° 40' 46.10"